Denver, CO – August 29, 2012 – ARCHOS, an award-winning innovator in consumer electronics, is proud to announce their first gaming tablet. This new type of tablet, the GamePad, combines gaming controls with AndroidTM for a full tablet and gaming experience in one. Gamers will not only have access to all their favorite games, they will also have access to email, Internet, apps and more through one device. However many games originally did not include physical control mapping, which is why ARCHOS developed their mapping and game recognition tool; a patented technology that allows any virtual controls to be mapped the GamePad’s physical control buttons. “Thanks to the mapping and automatic game recognition systems included on the GamePad, we already have over a thousand android games compatible with the ARCHOS GamePad’s physical controls, including back catalog titles that originally didn’t include physical controls,” continued Crohas. 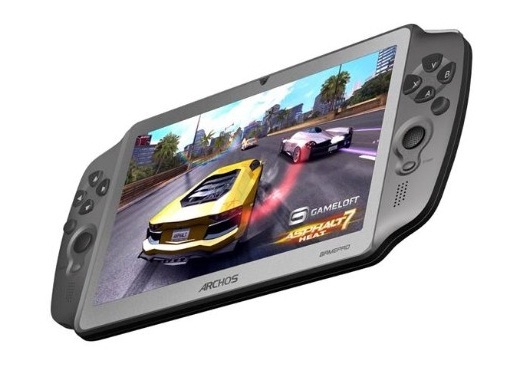 Over the past six months, ARCHOS has been discussing the GamePad with leading Android game developers around the world to make their games compatible with the GamePad’s physical controls and now we invite others to participate.